January 29, 2011 11:00 pm By Lori Post contains sponsored/affiliate links and I get commissions for purchases made from links. As an Amazon Associate I earn from qualifying purchases. If you’re new to this blog, you may not know how I am able to treat my family of seven to free or super cheap nights on the town a few times each year. Everything pictured above was earned by taking surveys! 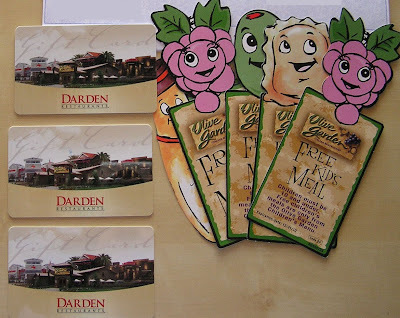 First, I got three gift cards to Olive Garden by cashing in my earnings from doing surveys with Ipsos I-Say! It’s a great paying and very respected company that give you points redeemable for gift cards when you participate in product surveys. Right now, new Ipsos members are automatically entered for a chance to win $5,000. 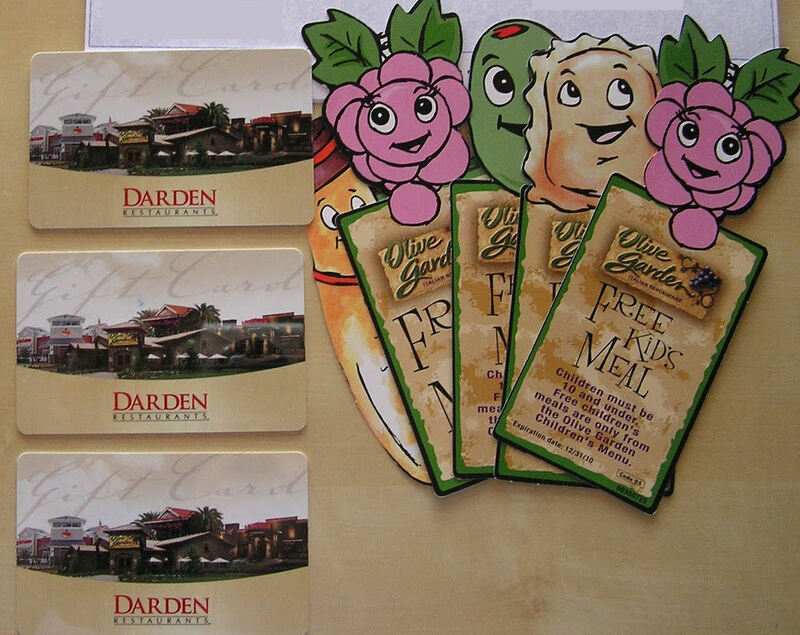 Plus your surveys earn you points redeemable for gift cards from places like Applebees, Chilis, Olive Garden, Amazon, Kohls, Pier 1, and dozens of others. I also used the Paypal cash I earned from taking surveys with SurveyHead to buy coupons for free Olive Garden kids meals on Ebay for about $.80 each w/free shipping. Still ZERO out of pocket, y’all! Now the youngest three eat for FREE! Thanks to surveys, we had a nice dinner for just a few bucks. Now is a great time to set up your survey accounts and set a goal to pay for Christmas 2011 or get a few free family nights with your earnings! You're welcome! These are good ones! It's still important to tip appropriately (like 20% of the cost of the meal before discounts). That's my only concern with doing something like that.